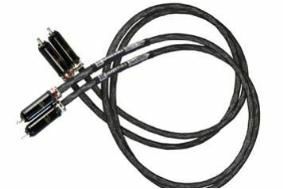 Kimber Hero cables now available in the UK | What Hi-Fi? The cables all use Limber's woven geometry, but use four cores rather than three for improved cancellation of RFI, arranged in a GyroQuadratic geometry with dual Teflon insulation. The standard version of the cable comes with VariStrand Hyper-pure copper conductors and Kimber Ultraplate phono plugs, and sells for £130 for a 0.5m pair, or £168 for 1m. The range is also available in HB (hybrid) form, using two Hyper-pure copper conductors and two silver, with the option of either WBT 0102-Cu plugs, or silver WBT 0102-Ag. With the Cu plugs, a 0.5m pair of Kimber Hero HB is £479, and a 1m pair £723. Finally, there's a silver (AG) version of the cables, using four Hyper-pure silver conductors. Fitted with the WBT 0102-Ag plugs, these cost £839 for 0.5m, and £1322 for a 1m pair. Kimber Kable products are distributed in the UK by Russ Andrews Accessories.